Do you have a special pup in your life that you consider a part of the family? 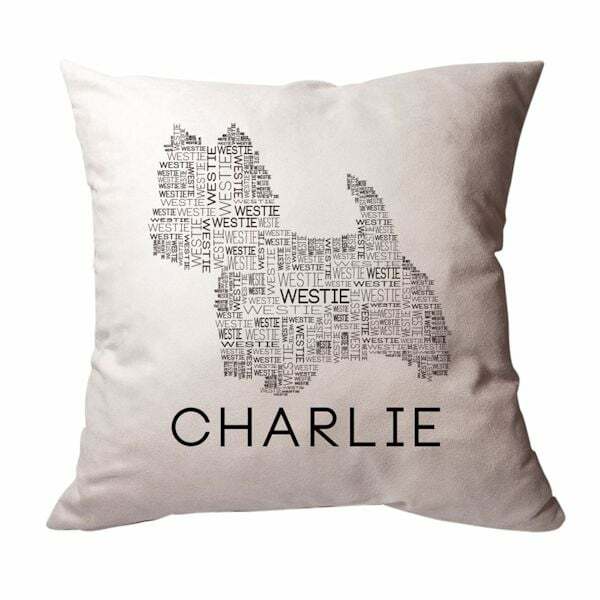 There is no better way to honor his place in your heart than with this custom dog breed pillow. Word cloud design using the dog breed name and your dog's name featured below. 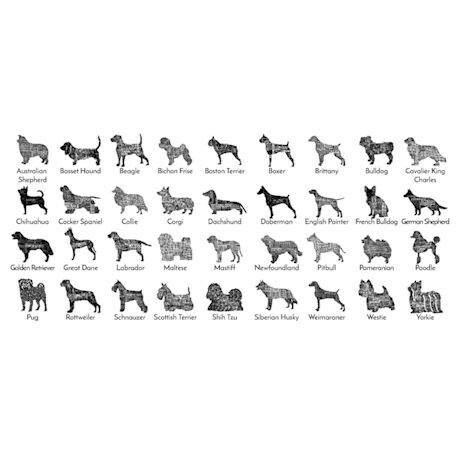 Choose from 36 breeds. Off-white pillow with black font. Generously sized at 18" x 18". Specify dog breed and dog's name, up to 20 characters. Machine washable, suede-like 100% polyester. Includes insert. Allow 3 weeks. No rush delivery or gift box. Item can only be shipped within the Continental US.